Injuries to your spine are serious. Paralysis & death is not uncommon after SPINAL INJURIES. I’m sticking my own neck out writing this! The purpose of this article, & the information in it, is to get more people safely to a hospital. Apply common sense and don’t take chances. 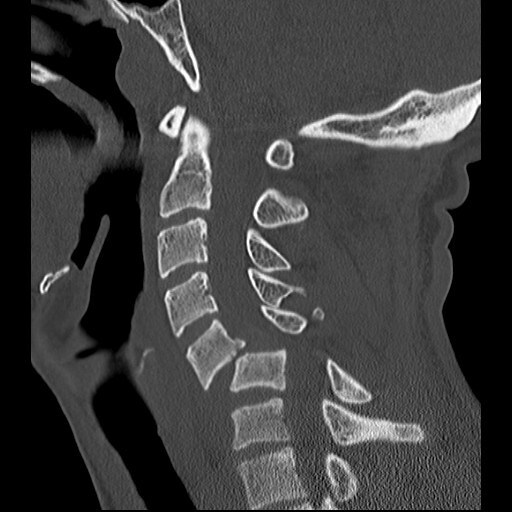 Not all spine injuries are dangerous, but Its impossible to know that without a hospital and xrays. Damien Martin below is one of the lucky ones. WHEN SHOULD I SUSPECT A SPINAL INJURY? There is no rule to this. You should always be suspicious. Your mate who’s been slammed on the sand with a broken collar bone/nose/wrist/concussion, or any distracting injury, is at high risk. Breaking your spine isn’t always as painful as you may expect. Another injury that IS painful can distract you from a spinal injury. Its well documented that 10 % of head injuries have a spinal injury aswel. This is the wave that broke Damian’s back. A missed spinal injury can have much more severe consequences than one that’s picked up and managed carefully. Paramedics are taught to assume that every trauma patient has a spinal injury. The vast majority of spinal injuries are painful to some degree. Your mate rubbing their thumb down the boney points of your spine shouldn’t be painful, and if it is you should suspect a spinal injury. Obviously finding a step or lump in the spine is a clear indication that things aren’t as they should be! An erection. Have you broken your back or are you just pleased to see me?! This is actually a really sensitive sign of a spinal cord injury. Just because you don’t have any of these signs doesn’t mean you don’t have a spinal injury. In fact moving someone who does have a spine injury is dangerous and can cause the above. As a general rule the higher up the spine the injury the more serious the consequences. High injuries are associated with difficulties breathing/coughing and can dramatically drop your blood pressure. Injuries to the neck (cervical spine) still need immobilisation of the whole spine. Unless your life, or the person you’re ‘helping’ is at risk from where they are, then not moving and waiting for trained professionals is by far the best thing to do. Moving them could paralyse or even kill. Keep them warm. This video is quick and quite useful. It’s really important to immobilise the neck in the way shown in this video. If you think that they have a spinal injury and that their life is at direct risk from remaining where they are then moving them should be done with as many people as possible. The person should be lifted keeping their spine in line with their body and as straight as possible. This is called a log roll and should only be done by professionals. The following video shows two professionals performing a log roll. If your attempt to align (get the straight) the injured persons spine in order to immobilise them causes pain, then its a good idea not to try and align them. If you’re miles from help, or there is none, then consider using a surfboard, or some other hard flat object, as a spine board. Its important to consider that it only takes an hour to start to develop pressure sores, so use towels or clothes on the board to act as a bit of a cushion. Making sure obviously that the material doesn’t prevent the injured person from lying flat. There’s nothing that gaffer tape isn’t useful for on a trip. Use the tape to secure the injured person to the board. Roll up clothes either side of thead to improve the heads stability. Injured people can often be distress and confused and don’t like lying still. A spine board that keeps them immobile can be distressing for them. This doesn’t matter in the great scheme of things. No matter where you are or how good your trip is. Anyone who has a suspected spinal injury needs to get to a hospital urgently. If they have to be moved by non-professionals then every care MUST be taken to make sure their spine doesn’t twist, flex or move out of line with the rest of the body. A sobering image. This person fell down two steps. An injury this high can have catastrophic consequences. You’d be unlucky to get a neck wound from surfing, but its not that unusual from car & bike accidents. Bear in mind that your neck contains lots of important stuff! Don’t go poking around inside a deep wound trying to have a good clean. This should be done by a surgeon in a hospital. Clean the outside carefully but don’t go inside! Wounds that are clearly just on the surface can be cleaned normally. Read our article on how to do this first if you’re not confident. Dressings- NEVER bandage around the neck. Swelling can increase pressure and close the airway.. Suffocation isn’t always obvious. There is no substitution for being examined and treated by a medical professional. The intention of the articles on this website is to inform anyone who reads it of medical issues encountered on surf trips. This website is designed to provide general practical information not specific medical advice. A large proportion of the photos on this site are not our own. We have tried to reference all that aren’t ours in good faith. Please contact us if you feel any of your pictures could be referenced better.